The Body Sport Medicine Balls offer you a complete workout for your core and your torso, two of the most crucial areas in the human muscular system. These Medicine Balls are essentially ideal for any sport or workout goal, combining strength training, cardio, flexibility, and dynamic muscle training all into one workout. 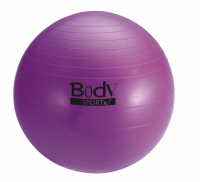 Body Sport Fitness Balls come in a variety of colors (blue, green, purple, red, and yellow) and have a gently ridged surface to promote secure gripping. Body Sport Fitness Balls are available in 2 makes: standard deflation, and slow air release (deflate more slowly than standard version). Durable, rubber ball features a textured surface for improved grip. Bounces off hard surfaces. 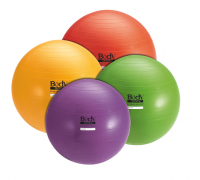 Ideal for developing core strength and improving coordination, balance and endurance. Designed for all fitness levels. Includes illustrated exercise guide. Available in 2, 4, 6, 8, 10, 12 lbs. Durable and versatile tool to build strength in core and lower back muscles for sport or rehab. Available in 4, 6, 8, 10, 12, 14, 16, 18, 20, 15, 30 lbs. Take your medicine ball workout to the next level with a Body Sport Slam Ball. Constructed with a cork-free, durable PVC shell, these balls are designed for high impact use and withstand the hardest slams. 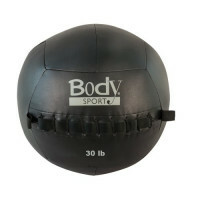 Body Sport Slam Balls are a favorite among CrossFitters, trainers, athletes and martial artists. Strengthens, stretches and tones all major muscle groups. Enhances coordination and balance. Improves flexibility. Available in Regular or Slow Air Release versions. Choose from 4 sizes: 45 cm (4’ 7” - 5’ 0”), 55 cm (5’ 1” - 5’ 6”), 65 cm (5’ 7” - 6’ 1”) or 75 cm (6’ 2” - 6’ 8”), and 4 colors (blue, green, red or yellow). The origin of the ‘medicine ball’ dates back 2,000 years to Ancient Greece. Since then, medicine balls have been used in one form or another to build health and strength. Recently, the theory of plyometric wight training has had a resurgence of popularity in the U.S., and whether you’re doing lunges, swings, or push-ups, Hampton Fitness has the right product for your exercise needs. Available in a wide selection of weights, Hampton’s Wall Balls are solidly constructed to withstand all your workouts. The origin of the ‘medicine ball’ dates back 2,000 years to Ancient Greece. Since then, medicine balls have been used in one form or another to build health and strength. Recently, the theory of plyometric wight training has had a resurgence of popularity in the U.S., and whether you’re doing lunges, swings, or push-ups, Hampton Fitness has the right product for your exercise needs. The Hampton Dual -Handle Medicine Ball is constructed from one single virgin rubber mold, which ensures our product’s handles will not break or detach as other inferior models do. 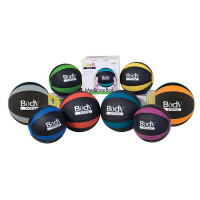 Our vibrant selection of colored medicine balls is not only attractive but extremely durable.